THIS PROJECT GREW out of my simple attraction to a truck. 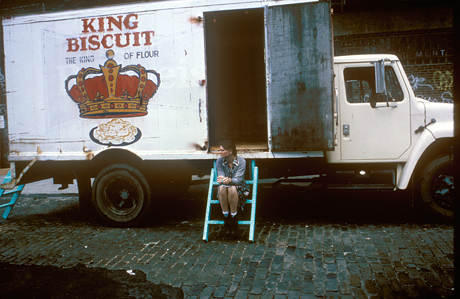 When I moved back to Arkansas to take a teaching job out of graduate school, I discovered an original “King Biscuit” truck being used to deliver feed by a local farm supply store. 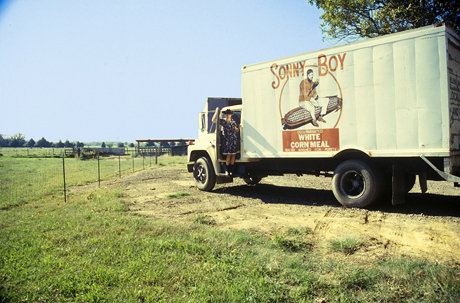 I was interested in the caricature of Sonny Boy Williamson on the side of the truck and how it might be perceived in contemporary culture. 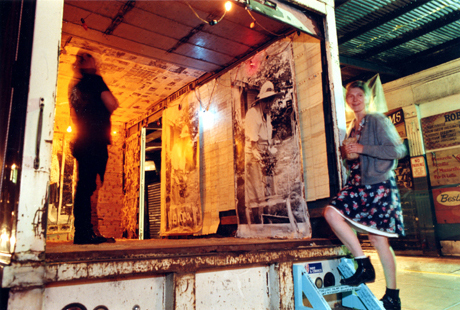 I made an installation in the back of the truck and drove it, with my nephew Travis, up the east coast to Washington, New York, North Carolina and back down to Atlanta and Memphis. 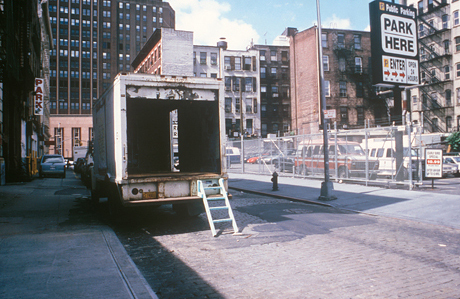 We made stops along the way, invited people in to look at the work and simply told our stories and listened to others.